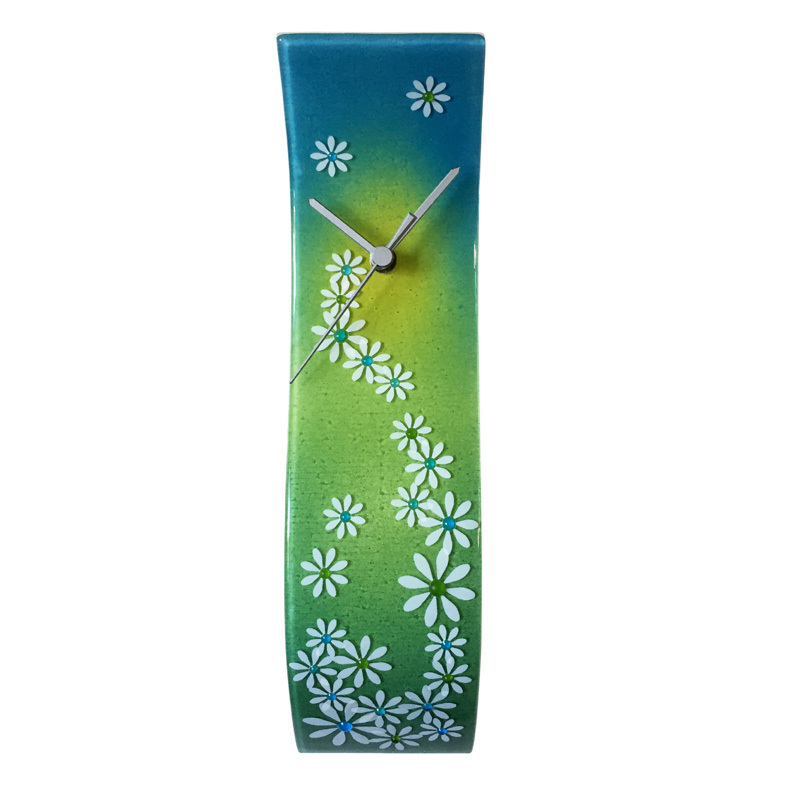 Our spectacular wall clock is certain to get some wow comments from your guests! 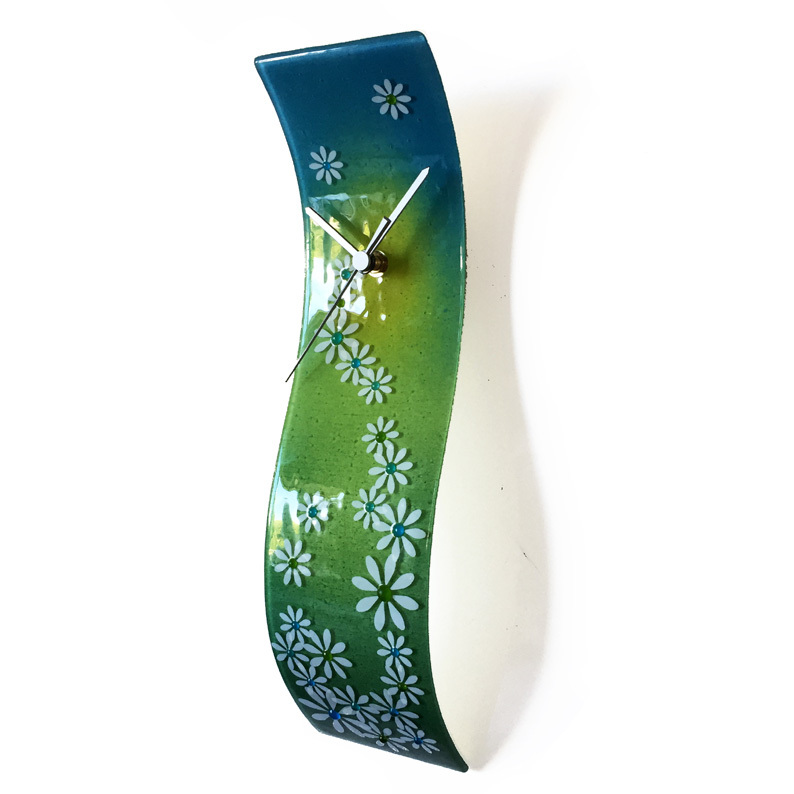 This art décor piece is created from glass, floral designs and coloured pigments are added by hand and it is then fired in a burning hot kiln. The curve of the glass adds an inspirational dimension, catching and reflecting the light. These beautiful shades of blue and green will add a stunning ambiance to your living space. Size W10cm x H40cm.